Bangkok’s vibrant feel and sprawling metropolis is a melting pot of exotic aromas, interesting sights, and visual delights! It’s no wonder that this city is a magnet for anyone eager to experience Bangkok’s reputation. The Ranong Express Transportation Organization’s bus (B466) from Ranong to Bangkok takes eight to nine hours and leaves every day at 08:30hrs or 20:00hrs. The bus ticket includes a free sit down meal and afternoon tea (Sprite + cake). I think if you spent six months in Bangkok, you still wouldn’t see all the Wats, temples, and sights in this hectic city! Do check out the Grand Palace as it’s spectacular, although expensive to enter (didn’t go in this time). If you’re a shopaholic, then Bangkok is the place for you! Countless markets, stalls, and shops sell rip-off designer copies of everything imaginable, especially DVD’s, watches, leather goods, and clothes, just to mention a few. I have to add that I did notice much of the goods sold is made in China whereas years’ ago, goods were made in Thailand and a little better quality. So, check the labels before you buy but labels aren’t always truthful either. This is Bangkok’s sprawling weekend market, and with 15,000 stalls, it’s the largest in the world! Everything is on offer here from jewellery, religious icons, cheap clothing, fake name brands, animals, delicious street foods, and local small restaurants and cafes. This is also a great place to mingle with locals and immerse yourself in everyday Thai life. Arrive early and expect to stay for the rest of the day, as you still won’t manage to see every stall. I love Bangkok’s China Town (Yaowarat Road in Samphanthawong district) as apart from the excellent cheap local food available throughout this district (expensive restaurants if you want to pay any price), it’s a wonderfully colourful bustling place to experience. Graced with many alleyways and bursting with tiny shops selling everything imaginable; loads of street stalls selling food treats and trinkets; and an area that only seems to sleep for a few hours of each night, you’re only a 10-minute walk from the river and the amazingly cheap ferry transport. I love this area for taking photos and people-watching. Khaosan is in the Banglamphu area of Phra Nakhon district, which is about one kilometre north of the Grand Palace and Wat Phra Kaew. In former times, the street was a major Bangkok rice market but now there are loads of cheap accommodation, back packer-style to reasonably priced 3-star hotels. For only a short street in central Bangkok, its huge reputation goes back to before the 1970s. Khaosan’s reputation is synonymous with cheap backpacker accommodation or as the world famous “backpacker ghetto”. 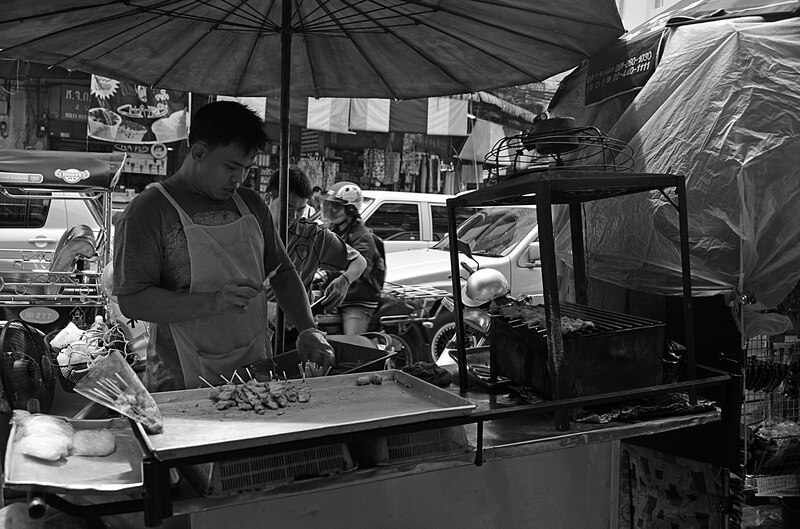 The street is lined with massage parlours, hairdressers, restaurants, bars, and market stalls along the street selling Spring Rolls and Pad Thai, but also pizza and western much food. You can also pick up used books, pirated CDs, DVDs, and fake IDs along this street. Typically in the later part of the evening, loads of western tourists drink in the bars, which can be a little tacky. I believe you can even see a live Ping Pong show here if you so desire…having witnessed one back in 1989, I gave this a miss. I’ve visited Bangkok four times now, during 1985, 1989, 2004, and again in 2014. The changes I’ve seen in this city and in the locals over the years are countless and not too dissimilar to changes I’ve noticed in Malaysia. Sadly, the number of western fast food chains that have invaded this city and across the country are immense. This seems to have squeezed out the small local family-run stalls, shops, and markets (although markets are in designated areas these days but seem to be more for tourists than locals). The once healthy stalls that sold fresh BBQ meats, fresh fruits and juices, coffees, and much more, have almost gone and replaced with stalls now selling fast and nasty processed sausage and processed fish/cheese balls on sticks. As in a western culture that has an abundance of fast foods, comes weight issues and obesity. 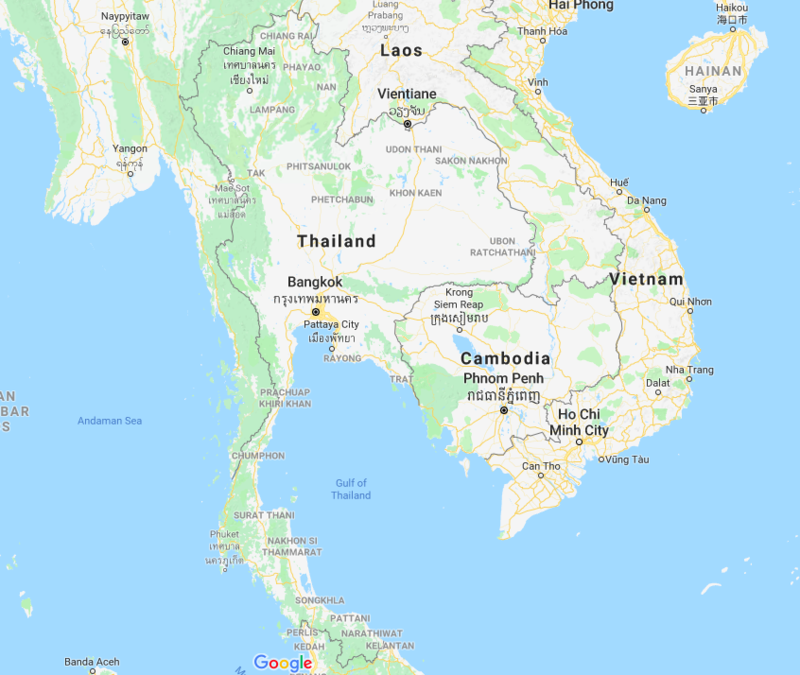 Perhaps it’s not my place to comment, but can’t help but notice the change in the local Thai people over the years…this once svelte populace is fast growing into a fatter one and it’s not uncommon to see obese children, even more so than in 2004. I guess also the issue here is that (I’m told) in Asian culture, typically, fat people are associated with wealth and the display of wealth is important. I’d like to hear any thoughts on this and if anyone has similar or differing views? Regardless, western corporations and corrupt local governments have a lot to answer for; the tentacles and push of the mighty dollar is far reaching and ever-present. Other changes I’ve noticed are that streets are filled with huge 4x4s, less bicycles and motor bikes. Rickshaws are almost non-existent or mostly for tourists. 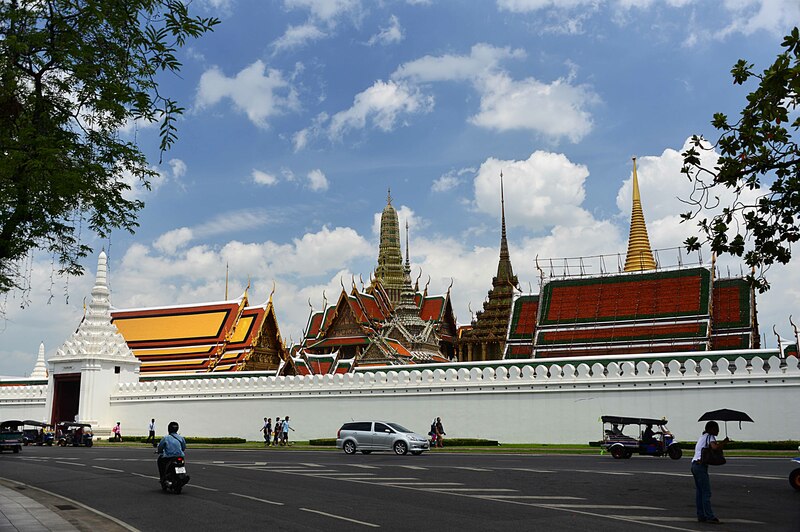 Although, the great thing about Bangkok that hasn’t changed over the years is that it is still a very exciting bustling and vibrant city, the food is wonderful, and there’s much to see and experience here – definitely worth a visit! Bangkok offers so much accommodation with tastes for everyone’s purse that’s it is exhausting trying to research and book somewhere. We stayed at the Check Inn China Town twice, as happy with this style of accommodation. A little overpriced for the room’s size, but a great location in China Town and good accommodating staff, eager to help. Booked the self-contained room with the kitchenette, which has a microwave, 2-burner stove, fridge, and utensils. Free tea/coffee/water daily, and the room is cleaned daily. The Check Inn is about a five-minute walk to restaurants and street hawkers’ delicious Thai food, and a ten-minute walk to Rachawongse ferry terminal. You can approach the Check Inn in either of two: one from the main road (Charoenkrung Road) or the other from a tiny alley (Yaowarat 8). Read several online reviews on the Check Inn mentioned that the alley as quite ‘seedy’. Personally, I didn’t find the alley seedy, just smelly, so named it ‘cat alley’ as there are many cats living in the alley, hence the smell. Tip: The ferry from Central Pier (Sathorn) stops running at 9 pm so if you’re staying in China Town, instead of the hassle and expense of a Bangkok taxi, take bus no.1 (BHT7). This bus travels parallel to the river and back up to China Town, which is just a few minutes walk from the Check Inn. The self-contained room meant that we could cater for breakfasts but also a couple of nights in with cheese, bread, ham, and red wine. You must try the local food so one local restaurant that is a huge hit is the ร้านก๋วยจั๊บนายเอ็ก (442 Yaowarat Soi Yaowarat Road) – restaurant’s name is only in Thai. This no-frills super busy restaurant with its stainless tables is a huge hit with locals and you’ll need to vie for a spot. Not only are the prices cheap (especially for the duck meals), but it’s very scrumptious. Continually returned to this restaurant as each time the quality was excellent and the food delicious…not to mention the price again, a plate of duck, rice, and greens (on the side) for B60! Tried another duck Chinese restaurant on the other side of the road but the quality was not a patch and double the price on our favourite restaurant. If you walk along Yaowarat Road near the duck restaurant, you come across some street stalls selling delicious on-the-spot cooked Thai delights, fresh fruits, hot roasted chestnuts, Thai cakes, seafood, and much more at varying prices. Indulge in some delicious freshly cooked ‘while-you-wait’ Gyoza’s (B30 for 4), you won’t be disappointed. 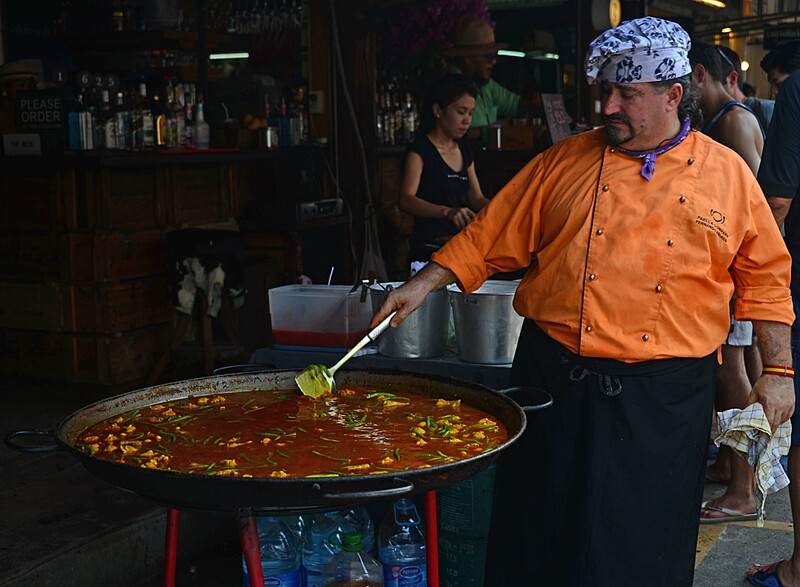 Explore these street stalls as they are great value and offer delectable morsels. As border crossings to Myanmar are closed or only provide a two-week visa on arrival, we are flying to Myanmar instead, as a 28-day visa is granted on arrival. Following an amazing 28 days in Myanmar, returned to Bangkok once more before heading to Kanchanaburi on a train journey. Visit my Nilla’s Photography Thailand Gallery and Burma Gallery for more images. 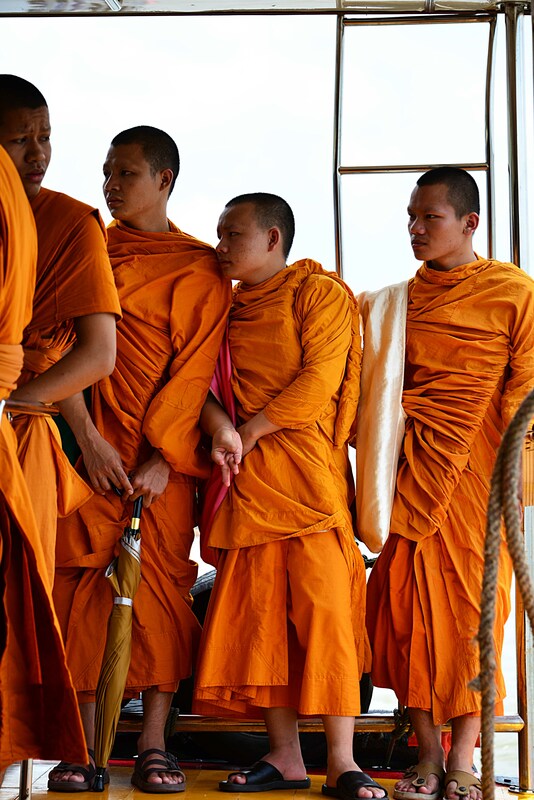 More blogs on Thailand and Burma. Great stuff Nilla. 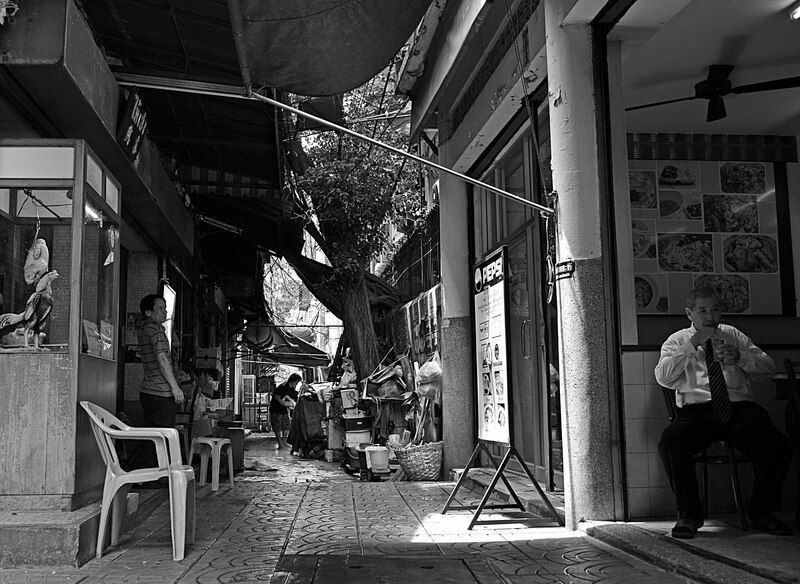 We were there in 2013 and I didn’t notice a decline in the small street side food stalls. We’ll not in Siam, Sukhumvit or Lumpinni anyway. You are right though lots more fast food chains. I can’t believe people go all the way to Thailand to eat wester food, let alone McDogfood. Thai food is amazing and I can’t believe locals and westerners eat at McDonald’s in Thailand either, also popular is Pizza – Malaysia had an abundance of Starbucks…on every corner it seemed!